* Traditional welcome & breakfast with tea. * Farm tour & farm activities (seasonal). * Village tour, bullock cart ride, rural games. Rate: USD 51.00 per person for Foreign Nationals of all age above 5 years. *	Traditional welcome & breakfast with tea. *	Farm tour & farm activities (seasonal). *	Village tour, bullock cart ride, rural games. * Evening snacks with tea. * Visit to Bidar - Choukhandi, Mohammed Gawan Madarsa & Bidar Fort. * Visit to Narsmiha Temple, Choubara/Bidri Craft Artisan & Gurunanak Jhira. * Visit to Baridshahi Garden (Optional). * Evening snacks with tea & departure. * Visit to oil mill, potter & dairy farm. 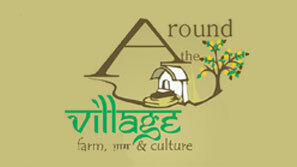 * Farm activities (seasonal)/just relax/Read books/Write/Explore the weekly market. * Camp fire & Dinner. * Visit to Bidar - Narsmiha Temple, Choubara/Bidri Craft Artisan & Gurunanak Jhira. * Traditional welcome & refreshment. * Visit to Choukhandi, Mohammed Gawan Madarsa & Bidar Fort. * Visit to Narsmiha Temple, Choubara, Bidri Craft Artisans & Gurunanak Jhira. * Visit to Baridshahi tombs & garden. This short hair pear head picture was cheap hair extensions sprouted into a small series, really too hair extensions fascinating! But the eyebrows Qi Liuhai, was trimmed into hair extensions sale a thin and broken effect, which is very good for the real hair extensions girl's round and sweet big eyes, with the inside The hair of the roll, a variety of delicate and fresh!